We will update this page regularly with news about the topics we are learning, along with some links to games and activities. In year 2 we have been doing lots of work on building up our fluency. Lot's of the children have been enjoying DAILY 10! A quick fire quiz with targeted questions... Click below to have a go! DAILY 10! ten questions in a time limit - how will you do? We have been learning about different measures. First we looked at length. We learnt you use usually use mm, cm, m or km to measure length. To do this you need a ruler. Sometimes we measure things informally or make estimates to give us a rough idea. Alien Cookbook A collection of games based on baking. Can you choose the correct measure? Weigh the ingredients? Calculate measures? We started the term looking back at our written methods for addition and subtraction. 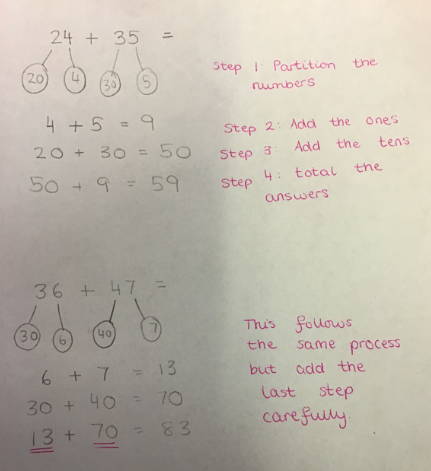 We continued to practise addition by partitioning - of which an example can be seen further down the page. 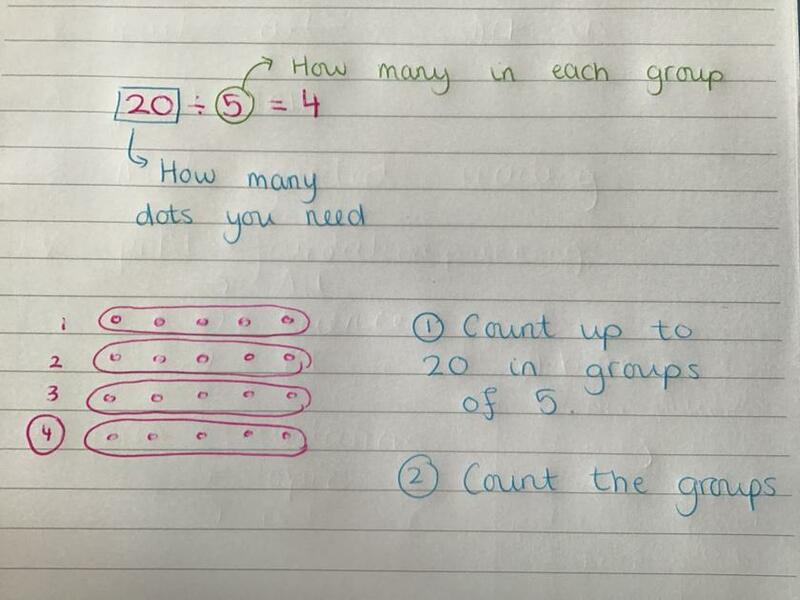 For multiplication we have continued using arrays and we have also practised dividing by grouping. 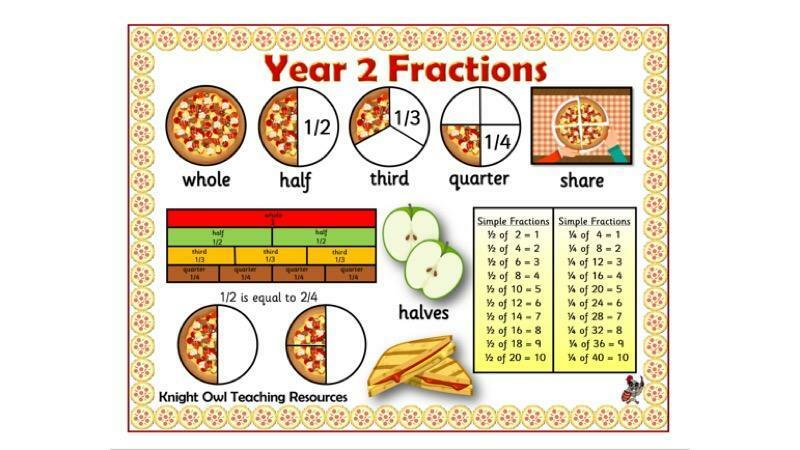 These methods can also be seen further down the page from the start of the year. Please practise these at home. We also practised using methods in our head to help calculate with small numbers. We used our fingers to help us! We have started looking at money this year. We recapped what different coins and notes there are, how we can make different amounts, adding up amounts and finding change. Here are some games to help you practise! Toy Shop Money Game Practise making different amounts - Can you select the right coins to pay with? In year 2 we have been lots of fract-FUN! 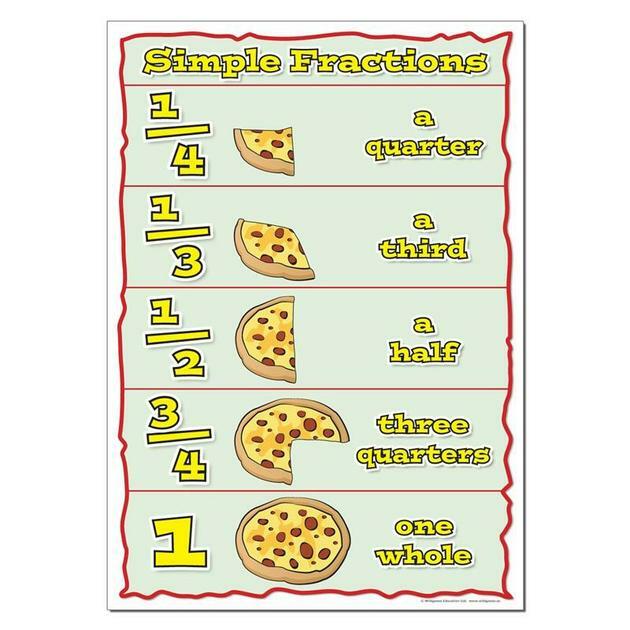 The top number (numerator) tells you how many parts you have and the bottom number (denominator) tells you how many parts it has been split into altogether. 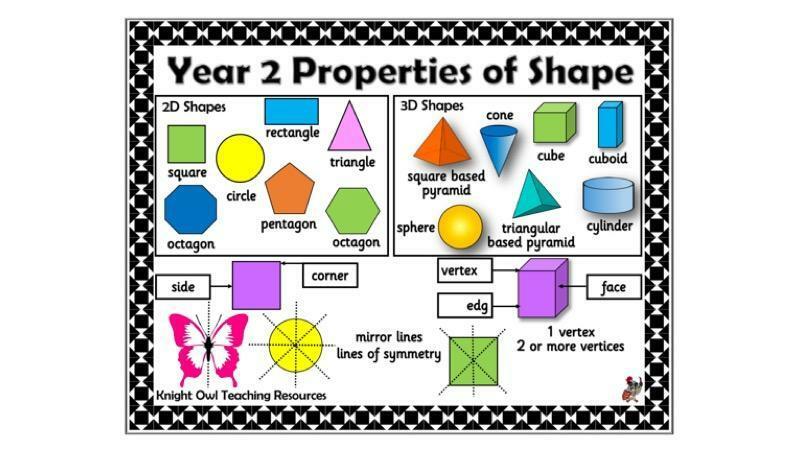 We have been learning all about 2D shapes (flat shapes) and 3D shapes (3 dimensions: width, height and depth). We have learnt how to: name them; describe their properties (the number of edges, corner/vertices and for 3D shapes the number and shape of faces); sort them; and recognise real life objects. Symmetry Games - Matching Can you find the symmetrical half of these shapes? Remember multiplication can be done in either order. 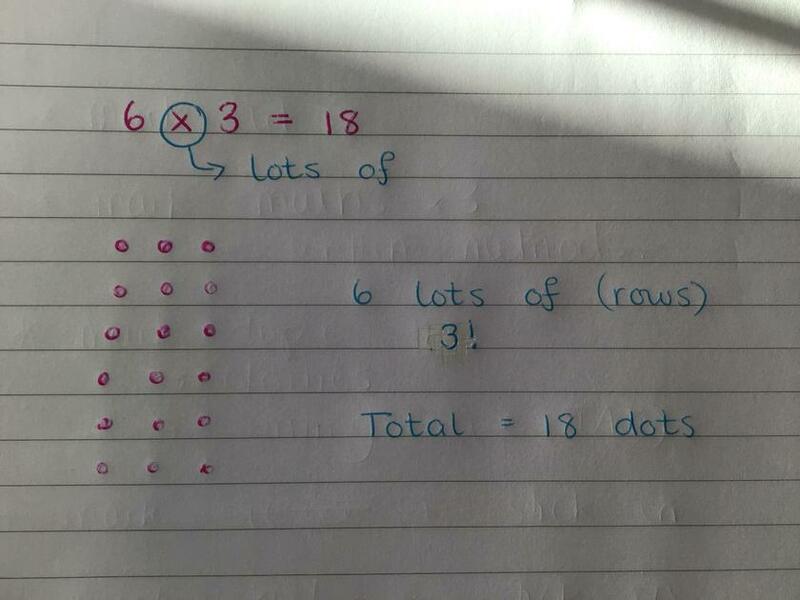 Just rotate your array and you have the same calculation in a different order and the same answer! This week we have been learning how to subtract using partitioning on a number line. This is a 4 step process that helps us subtract a 2 digit number from a 2 digit number. Below are some worked examples of how we set it out with instructions reminders next to each step. 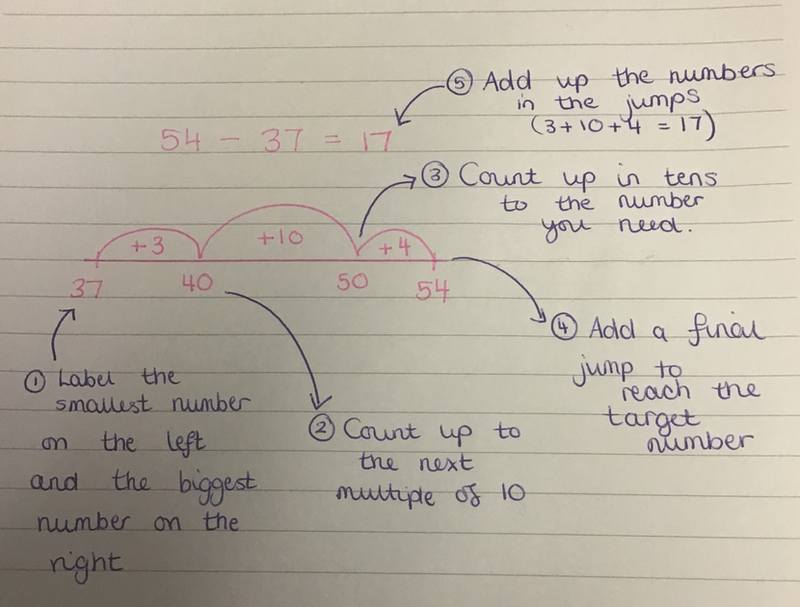 In our maths starters this week we have been looking at placing and estimating numbers on a number line. * Identify any missing amounts. Where does the number go? A game to help estimate where numbers should be on a number line. Add the divisions to help. This week we have been learning how to add using partitioning. This is a 4 step process that helps us add two 2 digit numbers. Below are some worked examples of how we set it out with instructions reminders next to each step. We started this year by learning about place value and how to make different numbers. 2 digit numbers can be partitioned into tens and ones. Below are some links to some place value games and activities to try at home!